In his interview with Zenit (October 15, 2014 [see, "Card. Kasper denies he gave interview. Journalist posts recording of interview,” CWR, Oct 16, 2014]), Cardinal Walter Kasper declared that the Church in Europe had nothing to learn from the Church in Africa, on matters family. He did not put it exactly that way, but that is the meaning I deciphered from his statements. The Synod was meant to address family questions in the Church (which is universal) but the likes of Kasper wanted to make it “a synod on the European families”. … Cardinal Kasper cannot remain fixated in Germany with little or no understanding of the world outside of Europe and expect us to listen to him. As a shepherd of the people of God, he is must be willing to follow in the footsteps of Jesus Christ who did not hesitate to upset the culture and the feelings of his own people to communicate the saving truth. The Church, just like Jesus our Lord and Master, must be a sign of contradiction. Needless to say, the family in Africa has its own share of problems to deal with. The problems of polygamy, infertility and barrenness, lingering influences from African traditional religions, civil strifes that disintegrate families, and poverty quickly come to mind. As shepherds of the people of God in Africa, we must love our people in their complicated family situations, but this love must not be devoid of the truth of who they are and who God has created them to be. 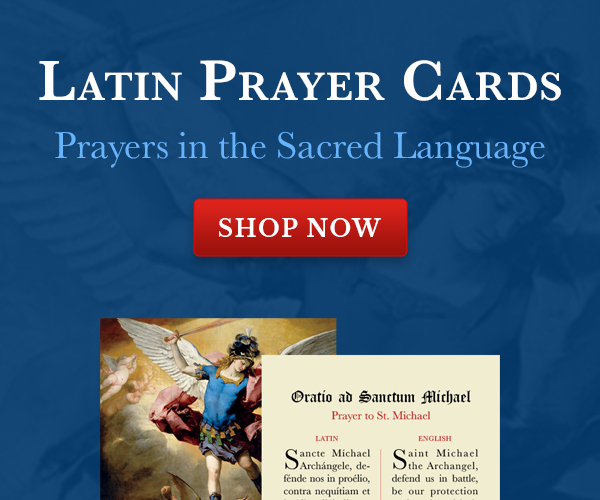 In fact, this would not be love at all, for as Pope Benedict XVI said in his encyclical Caritas in Veritate (par 2), this would be a counterfeit. I agree with the principle of being close to families in difficult situations, not to affirm them in their current situation, but to encourage and even challenge them to stand up and look at the destination that God has ordained for them. Having said that, let me also make it clear that it is our business in Africa to feel with and offer whatever help we can to the troubled families of our brothers and sisters in Europe, the Americas, and indeed in the whole world. Despite our meager material resources, we still can share the little food we have with our brothers and sisters in North Africa, the Middle East, and wherever Christian families are on the run because of religious persecution. We can offer intellectual and spiritual support to our brothers and sisters in Europe and North America. A lot of people in these countries have become intellectually blinded by a spiritual aridity from a hostile secularist offensive on the Church. Despite great advances in science and technology in the West, a lot of people have been thrown into confusion … Reality has become badly fragmented and people are groping in the dark, searching for the ultimate meaning of human existence. A lot of people don’t know that this ultimate meaning is to be found in the Catholic Church, which presents Jesus Christ as the answer, and that is why this Synod would do a great injustice to the Christian family (especially in the West), if it joined the reasoning of the world, instead of the reasoning of Christ. Any attempts to conform with the spirit of the world does not improve the Church, but in fact kills her. … The reason why compromise with the world makes the Church deteriorate rather than blossom is because of what Paul describes as “beginning with the Spirit but ending in the flesh” (Gal 3:3). It is a different kind of “gospel” that drives the spirit by the body and not the body by the Spirit. Too much immersion into materialism and fanning of bodily appetites obscures the spiritual end for which man is created: God. This is not Gnostic dualism, because living in the spirit is what places our bodies and the materiality of this universe into their proper place in the economy of salvation. We preach Jesus and him crucified, because it is the Cross that finally becomes the doorway to Jesus Christ glorified. To help those who are already divorced and remarried and wishing to be in full communion with the Church, it is good for to be told and understand that God’s love for them is great even in their situations. Their desire for Holy Communion must be born of an authentic spiritual yearning and not from a worldly sense of alienation that our generation calls discrimination. It is in this authentic yearning that the love of God is continuously calling them to take concrete steps to open the door of their lives for God to heal and nurse them. While the Church might be able to help some of her children by easing a bit the process of annulments … the individuals themselves cannot escape the responsibility of making some hard choices. In some cases the real marriage may need to be recovered by forsaking the counterfeit, while in other cases (especially where children are involved), a choice of continence may be made. If this is impossible, the couple may have to remain clinging to the foot of the Cross, praying and hoping for God’s deliverance at the proper time. As such they are not outsiders in the Church but signs manifesting the brokenness of our humanity, which is part and parcel of the Church. We all share in this brokenness and their lives become a prayer of the whole Church raised up to heaven for deliverance. Their inability to receive Holy Communion then becomes not a death sentence, but manifestation of the holiness of God in contrast to our brokenness. It is more beneficial for them and indeed for the whole Church because it stands as a sign of continued salvation, and a reason for a trusting expectation. 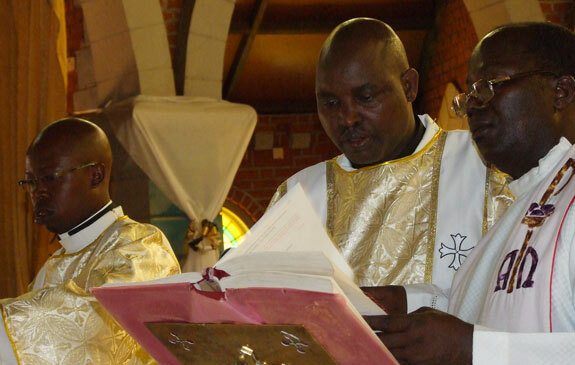 A priest of the Order of Preachers, doing Parish ministry (St. Catherine of Siena Parish) in Nairobi – Kenya.